JAMES DONALD (DON) GILL, 74, died peacefully of natural causes on Wednesday, July 18, 2018, in his residence in Fort Myers, Florida. Born August 8, 1943, in Danville, Virginia, he was predeceased by his parents, James F. and Pearl D. Gill, his sister Frances G. Hawkins, dear cousin, Dennis Shepherd, his companion Sonja Dragomanovic Haydar, and several beloved canines, including most recently Gabby and Coda. Don is survived by his nephew Gary Wayne Gauldin and family of Richmond, VA; niece Donna Gauldin Duncan and family of Philadelphia, PA; cousin, Donnie Shepherd of Danville, VA and former spouse Gail G. Swineford of Richmond, VA. So many other lives were touched by his wisdom and humor including housemates Brian Healy and Cindy Highsmith, fellow church members of Southwest Baptist Church, and Bible study friends in states including Virginia, Alabama and Florida. A retired banker of Richmond, VA; graduate of Ferrum College, and gifted tenor who fronted a rock band in his youth. 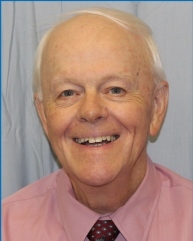 Don was a seeker of spiritual light and traveled the world before settling in Fredericksburg, VA for many years. Like many, he eventually moved south for the warm weather. In recent years, he spent countless hours delving into the true meaning of Scripture, living unencumbered by worldly desires. Daily sunrise walks on the beach, and ever the domestic animal lover, Don was kindness personified: “Come on, sing with me!” his parting request.